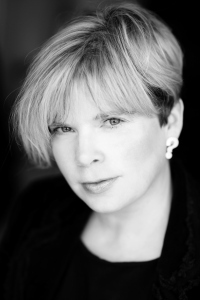 Sara Grant, who wrote this fabulous article on revising your work in progress, is running a new Book Bound event in Edinburgh this September. 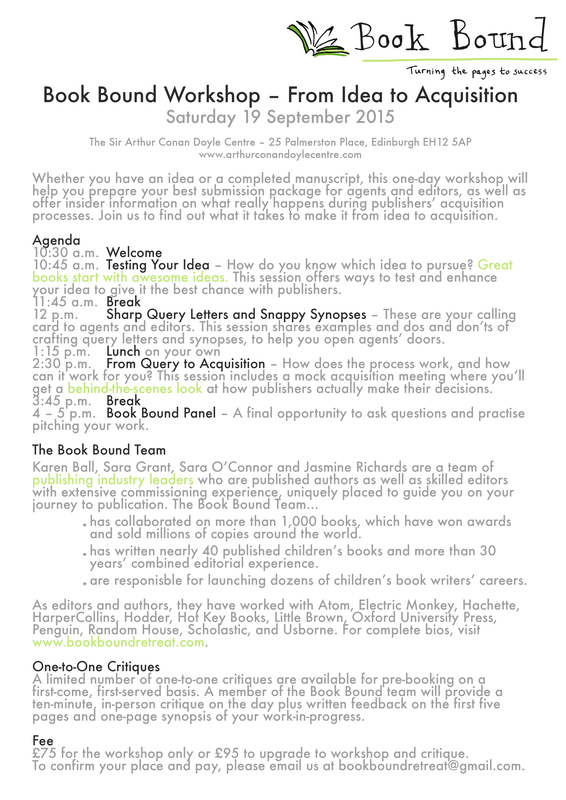 There is more information n this flier, or you can visit the Book Bound web site at https://bookboundretreat.wordpress.com/day-events/. It should be a brilliant event. If you go, please tell us all about it. A fully formed idea for my next novel springs to mind while I’m sipping champagne on my private jet. I type the manuscript in a rush. The story unfolds perfectly from my brain to the page. I immediately send it to my agent. She reads it and forwards it on to my publisher and they all agree – every word and punctuation mark is pitch perfect. Every writer has some sort of revision process. If an author suggests otherwise, he/she is either a liar or unpublished. Revision is the key to making a good story great. But revising is much more than reading your manuscript from start to finish. This entry was posted in Guest Bloggers and tagged Book Bound, Edinburgh, Sara Grant by Litmus 2015. Bookmark the permalink.